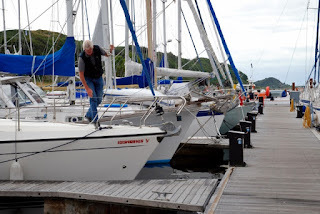 Ardfern Yacht Centre: Shopping for a new boat this autumn? Now the Scottish sailing season is over, Southampton Boatshow has passed and Scotland's Boatshow 2016 is on the horizon many boat owners minds have switched into shopping mode. Mark will be on the ABYA stand at Scotland's Boatshow during Friday, answering all manner of brokerage related questions to assist those looking for a new boat in time for the 2017 sailing season. At the premium end of the budget range we have the fantastic Najad 460 centre cockpit cruiser 'Morning Star'. 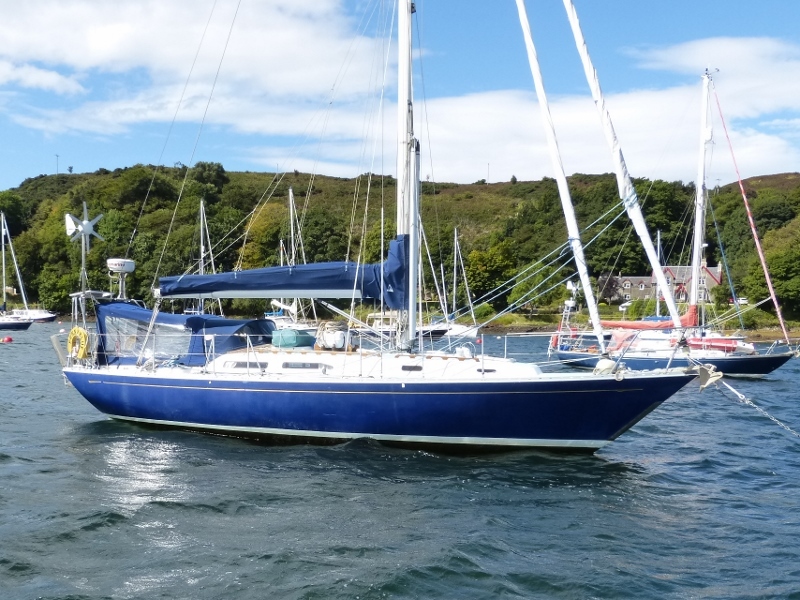 With the same owners since new and based for that time in Ardfern she is a lightly used example of this much admired design, capable of making quick passages she is the ideal boat to sail of over the horizon on your own blue water adventure. 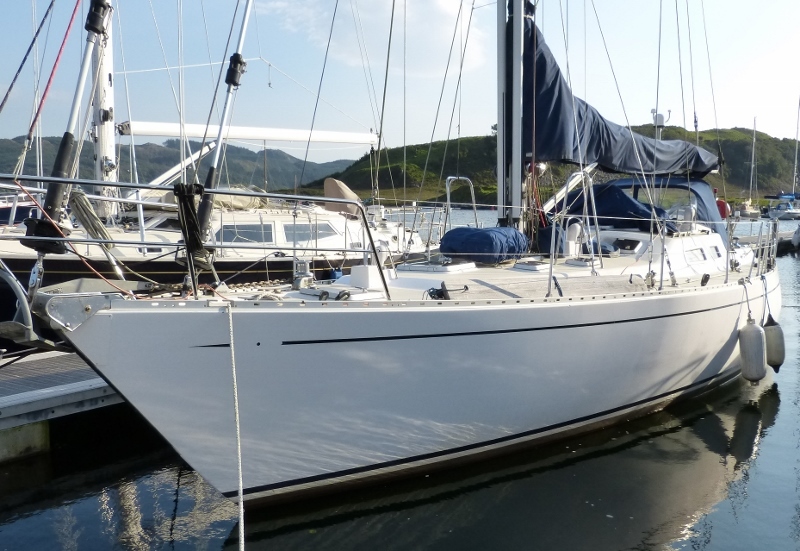 If your looking for something smaller and capable of some good fast fun cruising or even a quick blast round the cans at the occasional club race we have a couple of great Scandinavian built boats ideally suited to this type of sailing. 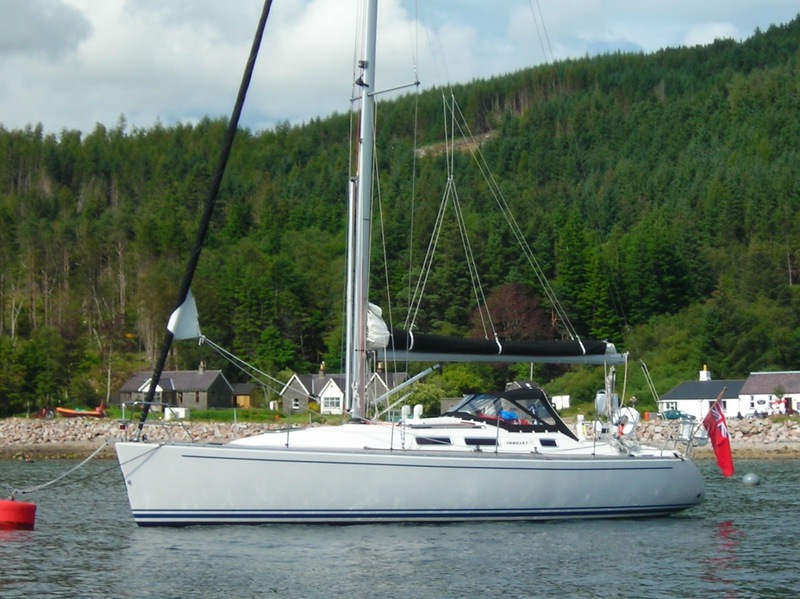 The 2008 Hallberg-Rassy 342 'Etoile' has been based at Ardfern since arriving in the UK with her current owners from Holland. With tiller steering and a relatively sporty rig she delivers a great sailing experience; capable of out performing many 'performance cruising' yachts, while still offering the iconic Hallberg-Rassy build quality and comfort below decks. 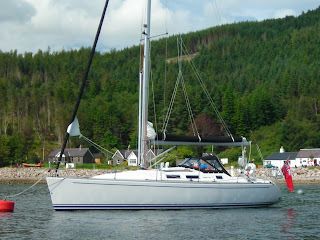 In recent years a brace of the Finngulf 33's have passed though our brokerage and 'Flying Finn' is the latest of those. Still at the performance end of the cruising boat range she offers dinghy like responsive handling, exhilarating up wind performance again complimented by a very high quality traditional finish below decks. Dreaming of blue water adventures at a more sedate pace, in a boat you know was built to do the job and has a proven track record of crossing oceans and looking after her crews? 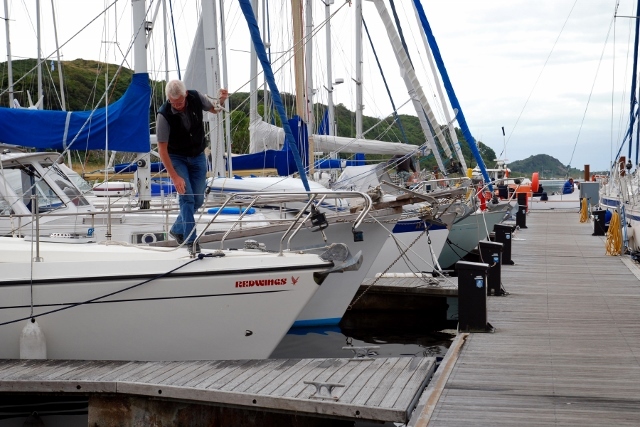 We have a unique trio of blue water adventure veterans lying at Ardfern, all ready to set sail with new owners. 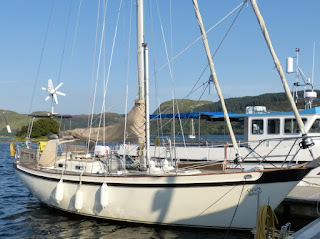 A fully custom designed and built boat from the board of the greatly admired blue water yacht designer Michael Pocock 'Brown Bear' was commissioned by the current owners to be: 'Capable of sailing to windward properly, making safe & comfortable long distance passages while being self sufficient cruising in remote areas'. 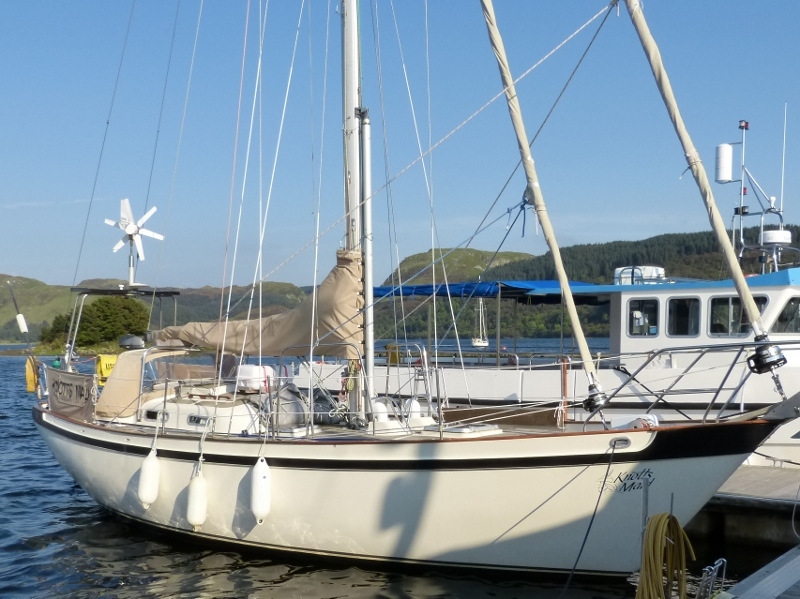 With more than 50,000 miles under her keel in waters ranging from Alaska to the Pitcairn Islands and everywhere in between we can safely say she has satisfied that original brief and its with a heavy heart she is now looking for new owners. 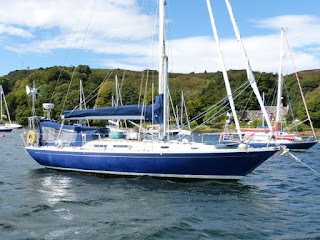 More suited to single handed sailing, commissioned and built for her original owner to compete in the Atlantic Rally for Cruisers (ARC) the Rustler 36 'Penny Blue' has now got two ARC's under her belt and has extensively explored the waters of the Caribbean. With her intended use in mind from the outset the boat is full of practical additions to optimize her for offshore passage making short handed and makes the ideal starting point for those looking to head off on their own adventures. The bench mark blue water cruiser for many decades the Tradewind 35 is highly regarded as the original long keeled blue water cruising design and examples of the design are to be found in harbours around the world. 'Knotts Maid' is a particularly nice example of the design having been finished below in oak joinery giving the living accommodation a much lighter finish than those finished with traditional darker hardwoods. Having completed a transatlantic circuit with her original owners during the current ownership she has explored the waters on Northern Europe extensively and is ideally equipped to be cruised by a couple. These are just a small sample of the fleet we have listed on our brokerage this autumn, you can find full details of all listings on the dedicated brokerage page of our website. 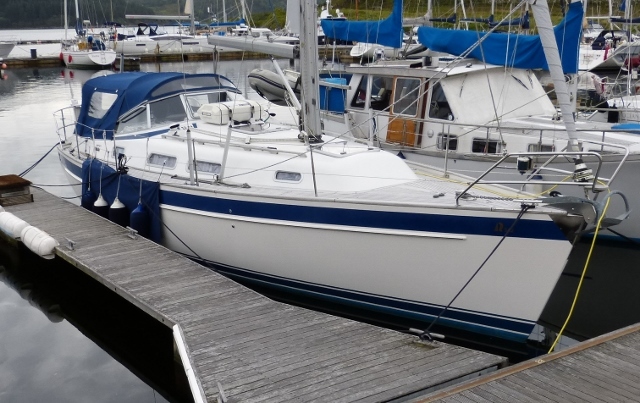 The listings include some great value smaller yachts from the likes of Moody and Westerly ideal for those looking for a first boat on a smaller budget or maybe downsizing. You can also sign up to mailing list to stay abreast of the latest listings.